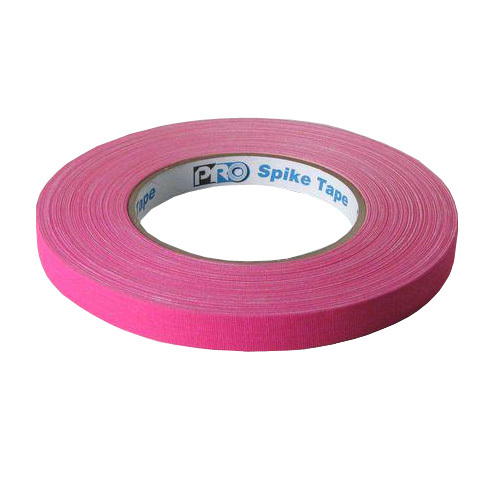 Spike Tape is a thin but heavy cotton-cloth gaffers tape used to mark areas on or around a stage. This marking is used to show the correct position for set pieces, furniture, actors, and other items which move during the course of a performance and are required to stop or be placed on a specific location. 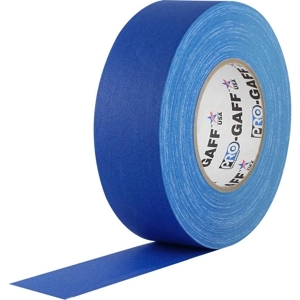 In our industry, an example of Spike Tape utilization could be marking the location for a rolling riser to end up for a performance. This tape is pressure-sensitive and made with a high-quality synthetic rubber adhesive. Just like Gaff Tape, Spike Tape is for temporary use and doesn’t leave a sticky residue once removed. 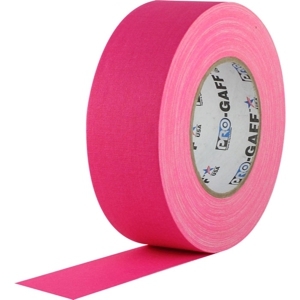 We use Spike Tape frequently throughout our warehouse and on-site at shows and festivals. 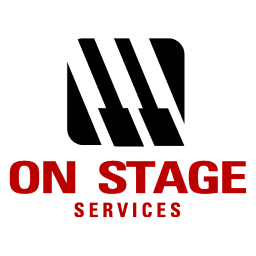 It’s a go-to tool for gear labeling and general stage organization.